All orders placed during that time will be processed when we reopen in the order it was received. May you have a Happy and Healthy Passover. 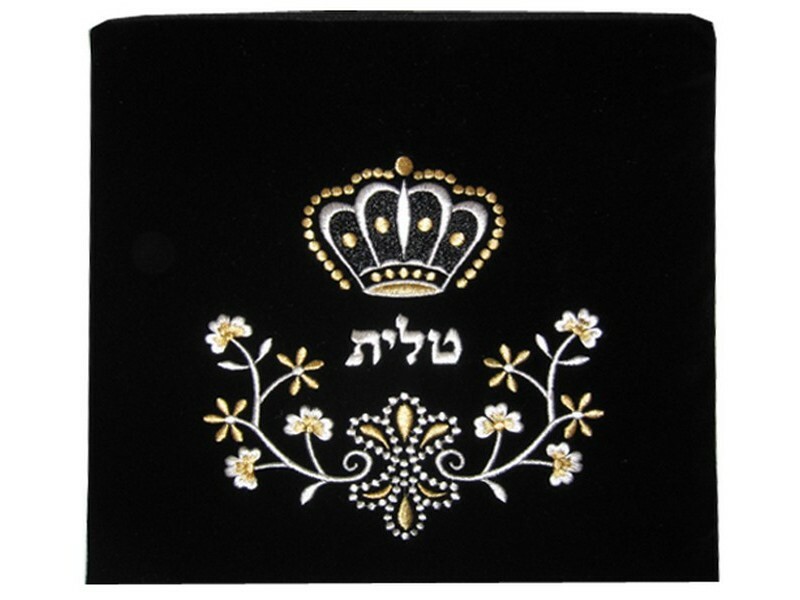 This velvet tallit/tefillin bag is designed with two toned flowers in metallic silver with accents of gold. The Hebrew word “tallit” or “tefillin”, depending on what size/style is selected, is embroidered in its center. A large, regal crown rests above the text. This bag is available in a variety of different velvet colors. 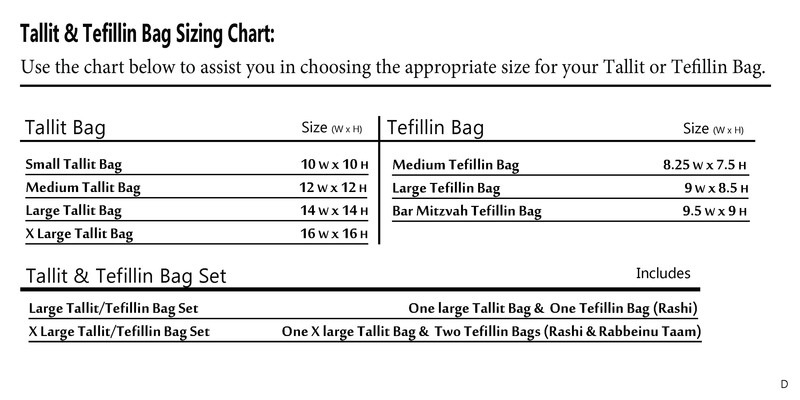 This bag is available as a tallit and tefillin set as well as separate Tallit and Tefillin sizes. This bag has the option of adding custom embroidery with Hebrew or English characters. An optional clear plastic slip-on protective bag is available for this bag. Please note: When ordering multiple velvet bags to match as set, other than black or navy, there is a slight chance that two of the same classified colors may not have been manufactured from the same lot of material. Even though they are considered the same color the shade might vary slightly. Sign up today to reveceive our e-newsletter and information on events and happenings around Judaica Unlimited. The premier online shop for high quality Israeli products! Whether you are looking for a unique Jewish gift, a beautiful piece of jewelry, cosmetics from the Dead sea, a souvenir from Israel or for Jewish or Israeli music or movies, we have it all here for you and great prices too!